When you’re looking at setting up new signage for your business, consider which ones best fit your style. Are you rotating signage regularly? Do you have one design that defines your business? Are you looking for something unique for your street? Does your industry have a standard look you’re going for? Set your business up for success when you coordinate your signage with your business message! Even when you already have a larger sign extending from the front of your store, that’s often not on the same level as foot traffic. For those potential customers who are walking by on the sidewalk, painted glass storefront signs are a great way to draw them in. By putting your signage on your front glass windows, you’ll draw attention into your establishment and hopefully bring people inside. These are great for coffee shops and restaurants that want to give off a cozy vibe during the chilly winter months. When you want to give that from-the-heart and hand-crafted image, a carved wood sign makes all the difference. 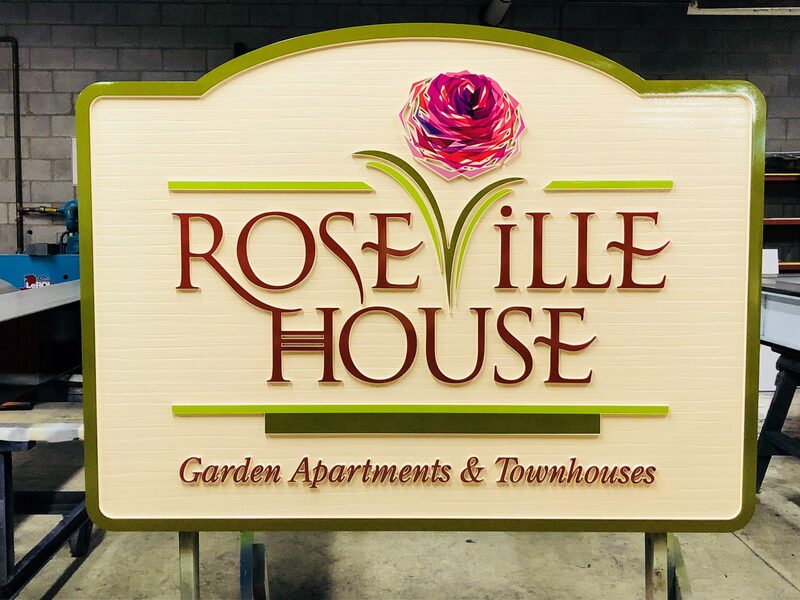 These can range from intricate and detailed pub signs with splashes of colors and beautiful carvings, to comforting and welcoming apartment complex signage. Given the versatility of the materials involved, there’s no limit to what you can put together to meet the needs of your business! For the no-nonsense minimalist vibe, laser cut and punched metal signs are the way to go. They can be done in a variety of colors and designs, but many businesses are pulling back and going for the modern look. The idea with these signs is that you plainly display what your business name is, and that direct message will bring your customers in. For an industrial look, try the brushed stainless steel finish! 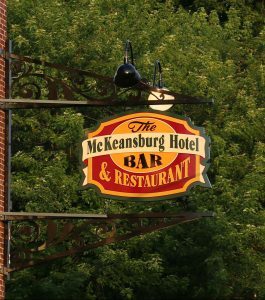 While these signs can be more expensive to keep and maintain, businesses that draw a more evening crowd usually see the most gain from these kinds of signs. Bars and clubs benefit from that classic, late-night nostalgia look. 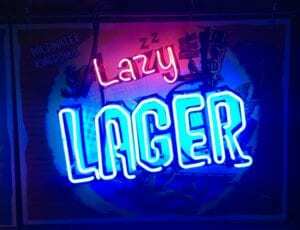 In actuality, neon is actually enjoying a bit of a renaissance nowadays, and businesses are seeing a big boost by using these kinds of signs. Awnings are a great way to offer your customers shade and a way to get out of the rain or snow. They’re also a fantastic option for signage. Giving customers a reason to approach your location is the start of getting them in! Awnings can also be used to expand your storefront beyond the four walls of your business. Being able to offer protected outdoor seating can be a big draw for customers. In addition to all of these benefits, an awning extending from the face of your store is a great way to get a lot of signage space for advertising your brand! If you’re looking to boost your business’s profile with unique signage, you need the leading experts! Bartush Signs can help you determine your greatest need and the best way to reach out with a custom sign that best represents your service! Give us a call today to find out what we can do for you!